Senior Yavianliz Rosado had 21 digs in each game over the weekend. Photo by Kayla Johnson. The Bradley volleyball team maintained their third place spot in the Missouri Valley Conference standings, adding one win during their weekend road trip to Indiana State and Evansville. On Friday, the Braves took on Evansville and came away with a closely contested five-set victory. 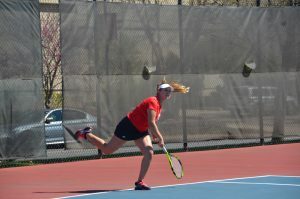 After Bradley took the first two sets, the Aces won two consecutive sets to force a fifth. All five sets were decided by four or less points (25-23, 25-23, 21-25, 22-25, 15-13). Senior Erica Haslag led the team with 24 kills, sophomore Sara Maddox added 13 kills and four blocks and freshman Hannah Thompson contributed with 10 kills and 19 digs. The win was Bradley’s 19th, their highest total since 2002. 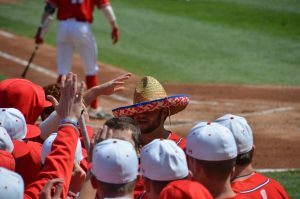 The victory also improved their MVC record to 9-3, the first time they hit the nine-win conference win mark since 2005 when the team finished 9-9. The team then traveled to Terre Haute for a Saturday night matchup with Indiana State. After losing the first two sets in extra points, the Braves took the third but were unable to complete the comeback as they fell short in the fourth set. Again, all sets were decided by four or less points (27-29, 26-28, 25-21, 24-26). Haslag led the team with 28 kills, her season high. Thompson posted 18 kills and 18 digs for her team leading 15th double-double. Her performance broke the previous school record for double-doubles by a freshman (set by Marika Giguere in 2000). The loss snapped a three-game winning streak for the Braves and is their first loss since Oct. 15 at Illinois State. 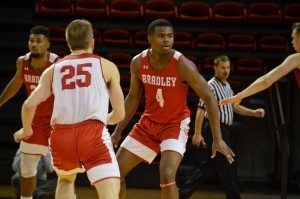 Despite the loss, Bradley maintains a one game lead over Valparaiso for third place in the Valley. With the win, the Sycamores snapped a four-game losing streak and improve their conference record to 2-11. After her back-to-back double-double performance, Thompson was named the MVC Freshman of the Week. This is the third consecutive week she’s won the award and the fifth time this season. The Braves return home at 7 p.m. tonight for a match up with conference leading Northern Iowa. The Panthers boast a 12-0 conference record and a No. 25 national ranking heading into the game. 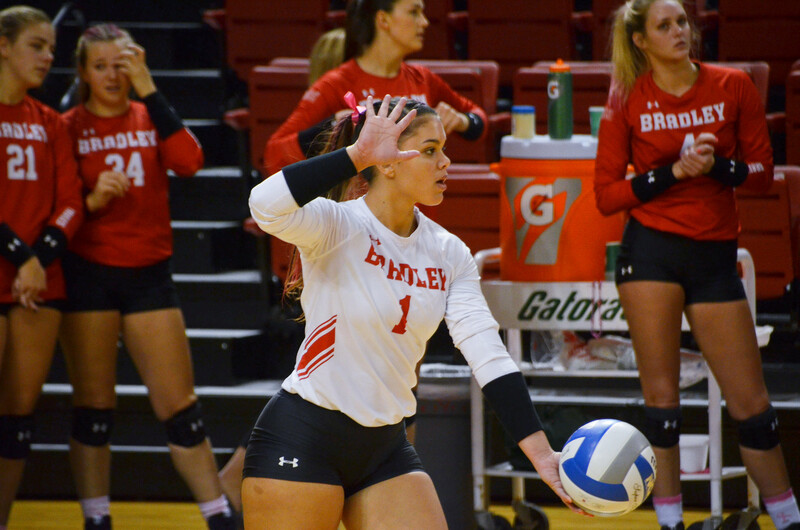 Bradley will then take on Drake at 7 p.m. Saturday night as they look to avenge their four-set loss against the Bulldogs in their first matchup of the season.